Black Friday/Cyber Monday First PC Build! So for the past 6 months, I've been gaming on a 2015 27"5k imac thats been bootcamped to windows. Let me tell you how frustrating its been. I set up a 2nd monitor connected to my imac via DVI to get 144hz 1ms since that imac is only 60hz. The imac ran fortnite fine. Once black ops 4 came out, the imac struggled in every way possible. The radeon rx390 could not keep up with the game and it was not rendering the game properly. Enemies would show up with only the gun and head, half the body wouldn't render. The snow maps were terrible. I finally bit the bullet and decided to build a pc with a $1200 budget in mind. I have the money but i didnt want to spend over $1200 just so i could game on a pc lol. I waited a whole month until black friday/cyber monday to find the best deals. Obviously some of the prices i paid could have been lower, but at the time, it either went out of stock and i regretted not purchasing the item, or the item was out of stock and then got restocked. update: the first two pictures i had the fans all mixed up. couldnt decide what i wanted to do in regards to pulling the air in from the top and exhausting through the front. the reason i did that is because the aio couldnt fit at the top. the rgb on the aio is only on one side and was meant to push air through the aio. u can see the top fans are intaking thats why the rgb is facing out and not down into the case like my rear exhaust fan. yes yes, i know hot air rises. this wasnt what i had planned to do. 2nd update: i flipped the front aio fans so that they would pull in cold air from the front of the case but by doing so, the rb is pointed towards the radiator. i then flipped the top fans back so that the back 3 fans are all pulling air out of the case as a exhaust. this was what i had originally planned to do. Honestly, I had planned to buy a 2600x for $190 on ebay. I was waiting for ebay to put out a 15%/20% coupon as it was getting closer to black friday/ cyber monday. Turns out the seller ran out of them at the 190 price and it jumped back up to 220. I went with the 1700x because of the 8 cores / 16 threads for $150 + tax. It was a no brainer. i honestly wasnt expecting to get a aio since this was my first build. there was no way i was spending 80+ on a cpu cooler.. i thought that was ridiculous. lol. i somehow found this for this price and bought it for 56 shipped. 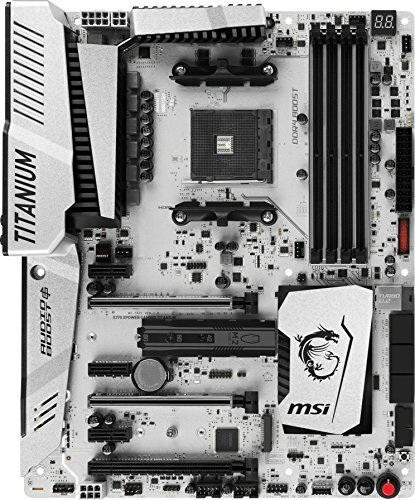 the installation took me awhile to figure out since i was going back and forth from the mobo manual and the aio manual for instructions. the 1700x didnt come with a cpu cooler and i was looking at the cooler master hyper 212 evo. i spent the extra money and got the aio just in case i wanted to overclock my cpu. i had originally planned to get the g skill trident rgb 3200mhz for about the same price if not $10 more. i purchased this off google express from ebay and got $20 off. i had no problems with compatibility with my cpu or the mobo. went into bios and set it for 3000 and it works. the rgb is beautiful. i knew i wasnt gonna go with a hard drive. 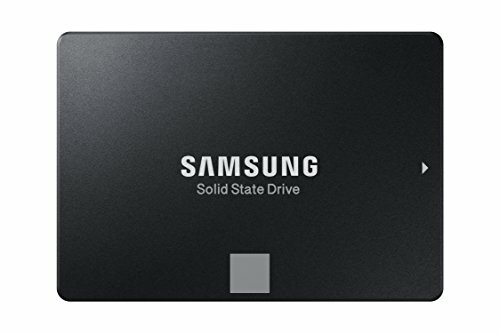 i did some research to see the samsung ssds are the king of ssds. i found this on google express as well with 20% off. what can i say, my pc boots insanely quick running windows off of this nvme m.2 drive. Im a sucker for good deals. i could have waited and gotten the 1 tb sata samsung ssd but this caught my eye and wanted to future proof my build just alittle. the first thing i had decide on before i made any purchases for this build was the case. my god, i spend so much time trying to find a case i liked and for a good price. i purchased this off of ebay as an open box. original owner couldnt fit his build in it and it was practically brand new. After building my pc in this case i realized 2 things: 1) i would never buy this case again for a future build unless i was building a matx or mini itx build. its a small case and i had a hard time squeezing everything into the case. just look at how close my gpu sits to the front aio. i couldnt fit the aio on the top due to ram clearance. 2) i removed the hard drive frame on the bottom to get more space to fit all my power cables and extra wiring. what i love about the case is how open it is. Has a mesh front panel and its a very clean and open air design. i cant believe big name companies charge over $100 for a 3 pack of rgb fans. i know these enermax doesnt compare to a brand like nzxt or corsair for their rgb appearance but i can't see how spending 100+ for 3 case fans can be justified when there are good looking fans like enermax for 33.
bought this refurbished off of ebay from using this as my second monitor to my imac. i paid $120 for it as there was a 20% off coupon at the time of purchase. 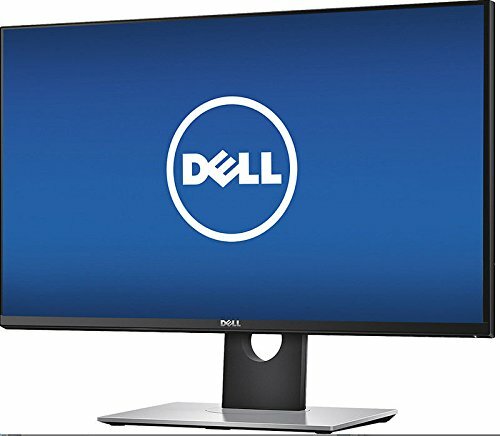 this monitor does not even come close to the dell i bought recently. for a budget 144hz 1 ms monitor i guess its ok. the price for this monitor brand new, i wouldnt have bought it,. Nice build! What made you choose the 1070Ti instead of the 2070? I understand the point you're making. However, when a 2070 can be currently had (or atleast a couple of days ago for sure) for between $450-$500 USD example , I would argue that it's worth it for newer tech + a little bit of future proofing. My question wasn't to demean or detract from his build - just a question purely motivated by curiosity. To each his own, obviously. where are you able to find an RTX 2070 for under $499.99? the cheapest 2070 i saw was on BnH for 499.99.. i had already purchased this 70ti card from evga.com for 399.99 with NO tax and free shipping.. i would have had to pay for tax on that 499.99 2070 and that would have pushed it way more than i wanted to spend on a gpu. i thought about getting a used 70ti off ebay but thats always risky so i just bit the bullet and bought a new one. Fair. Thanks for taking the time to respond! I edited my previous response with an example. Despite earlier comments, there were 2070s on sale for Black Friday promotions. I saw them for myself fwiw. BnH and Newegg charges tax for me here in Nevada.. That 485 would have been well over 500 for me. I don't recall where, but I saw one for $450ish. I got the same GPU Black Friday for $380. 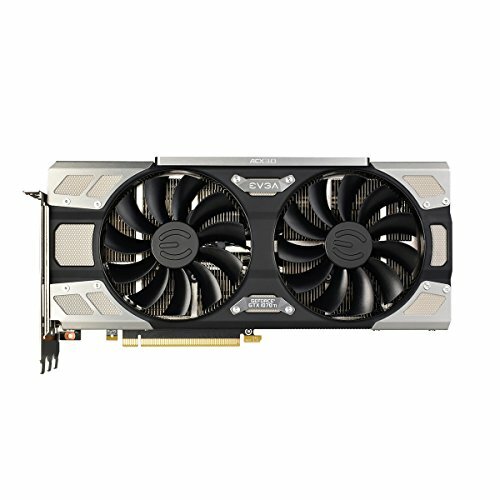 Your link even shows the cheapest 2070 at $485. Benchmarks show the 2070 a few % faster than the 1070ti but not worth 25 % price increase. yeah ive seen it for 380 with a 20 mail in rebate. i would have had to pay tax on it since it was either from newegg or b&h. i didnt have to pay tax or shipping for my 399.99 gpu. i also could have paid 350 for a msi armor or a zotac mini 70ti but i liked the look of the evga. This is a cool looking build! I love the colors of the computer and the components seem to be great for gaming and streaming. The price is pretty good and seems to be worth the price as well! Are the cpu cooler fans RGB or these are another type of fans? yes the fans on the radiator connected to the cpu pump is rgb. i just had it flipped so that it draws air into the case. you can see more of the rgb if you have the fans as a exhaust. my radiator doesnt fit on the top of my case due to ram clearance so i had to put it in the front of the case as a intake.